Marketing consultant Jo Coxhill has written countless marketing strategies and business plans over the years but until she met a Velocity business adviser there was one she had never got round to completing…her own. 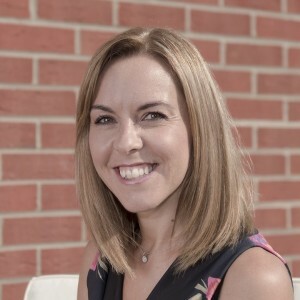 Since setting up Vision 29 in Broughton, Milton Keynes, three years ago, Jo has worked with a number of high-profile clients including Volkswagen Financial Services and Ipsos Retail Performance. However, her vision for how the company could look in years to come wasn’t clear. Jo had been told about Velocity and how it may be useful for a client but, having researched the business support on offer, she decided it was the perfect platform on which to grow Vision 29. “First and foremost, I was interested in the grants available” she said. “It turned out they were mainly for apprenticeships which wasn’t suitable for me at that stage but it did open my eyes to what else was available, particularly the business support. “I set up a meeting with Emmanuelle and we hit it off straight away. She was fantastic and really helped me on my journey. She gave me the clarity and confidence I needed to better understand my business and go out to potential clients. The 41-year-old previously worked for global queuing technology company Tensator but set up on her own in 2014. Having the support of a Velocity Business Adviser whenever she needs it has made a huge difference, allowing Jo to brainstorm ideas and get expert advice. In addition to its network of business advisers, Velocity Growth Hub includes a series of Capital and Revenue grants for business support, a programme of business workshops, boot camps and seminars. To find out how it could help you and your business, call the Velocity team on 0300 01234 35.